Much of this year has been about embracing the outdoors. We saw a focus on this at 2017’s Dwell on Design in the Dwell Outdoor area. This fact is further evidenced by national trends, such as an increase in the number of visitors to America’s National Parks. The outdoors are hot — and not just because it’s summer. So what’s new? These five simple landscape design details can keep any outdoor space on trend this year. Using bold, color-blocking techniques allows you to turn nature into an eclectic, eye-catching piece of art. 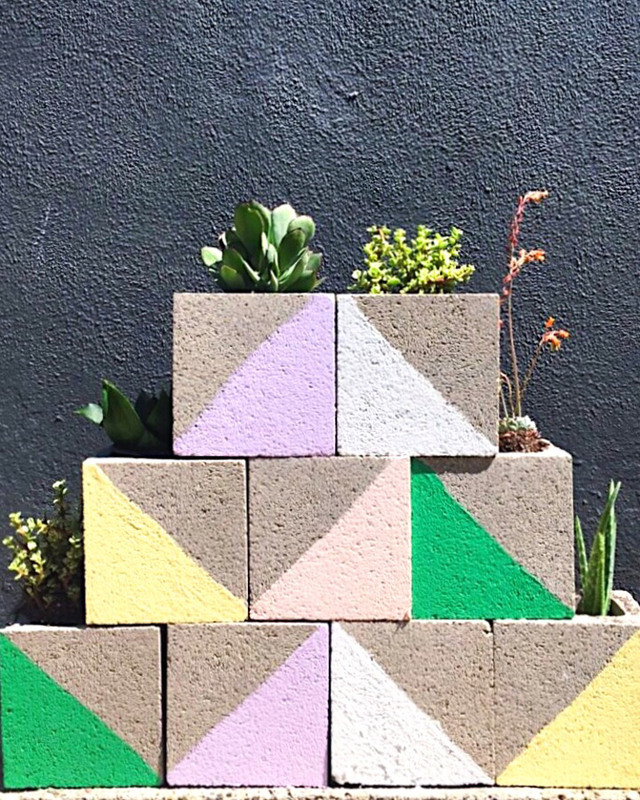 The planter example below quite literally color-blocks blocks. 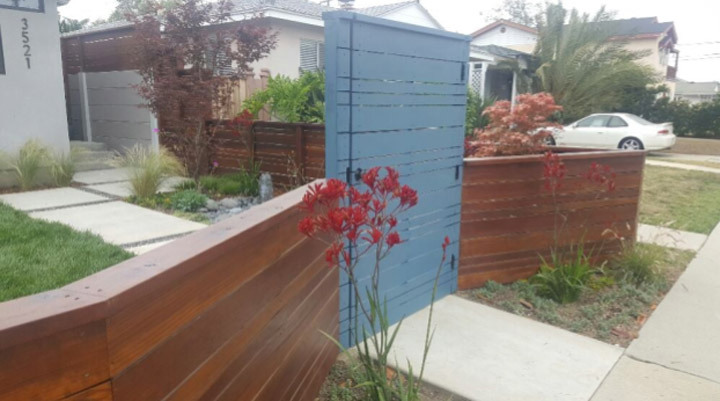 Using a similar technique on a backyard fence or concrete patio would create wonderful visual interest in any modern outdoor space. As noted in our 2018 Color and Design Trend Report, natural wonders are in — be sure to draw attention to yours with craft work and over-sized motifs, notes Dunn-Edwards resident color expert, Sara McLean. 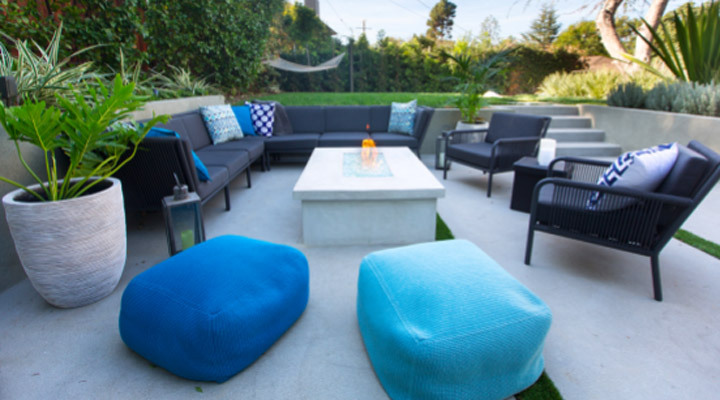 Whether it’s patio furniture upholstery, decor accents, or exterior paint colors “we all know how popular teal has been,” says Stephen Gabor, principal of Venice, California-based design, build, and landscape firm, Gabor + Allen. 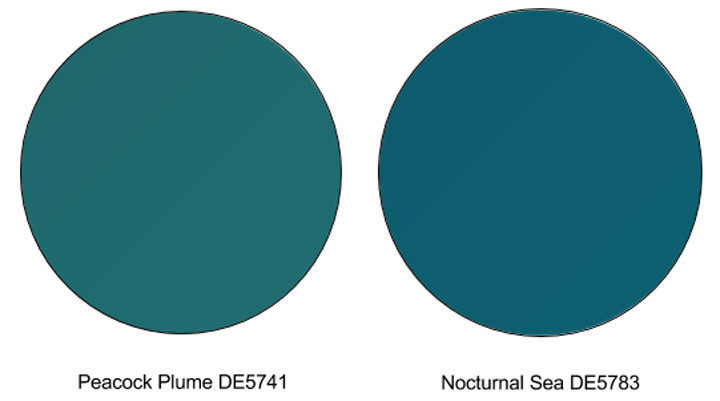 For the perfect shade of teal outdoors, he suggests rich tones like Dunn-Edwards Peacock Plume (DE5741) or Nocturnal Sea (DE5783). Here comes the sun! 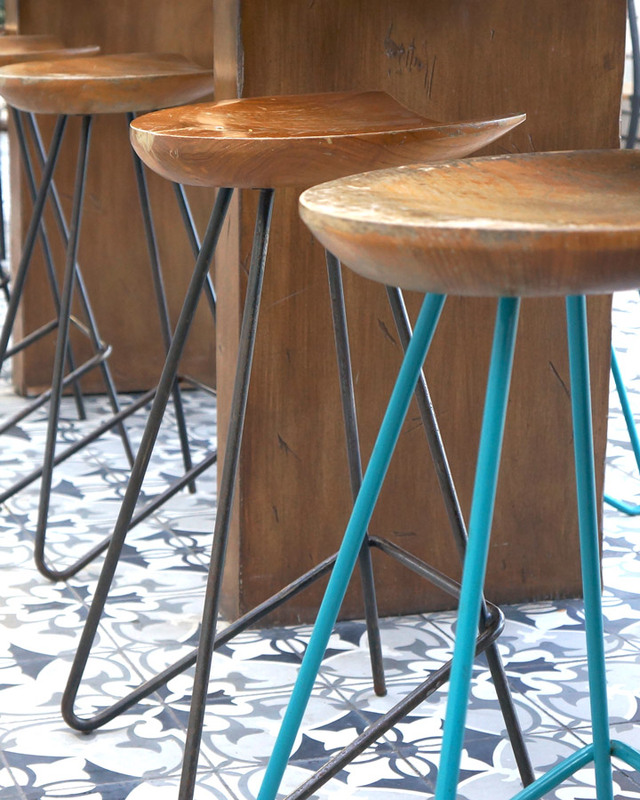 Brighten up your garden or patio area by using a bold color to really create personality in your space. 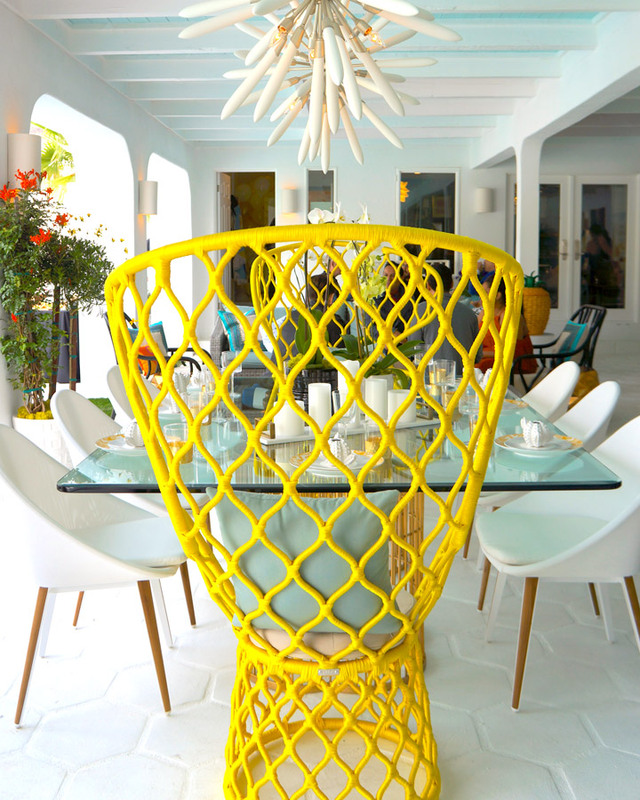 A great way to do this is to paint the door leading to your outdoor area, or by adding in a statement piece, like these chairs that stand out for their unexpected pops of color. Dunn-Edwards’ recently released 2018 Color and Design Trend report points to a trend where “exoticism of undetermined origin and tribal spirit invade the city.” Think vintage terracotta urns, textured woven baskets of Tulum, and the quatrefoil and ogee patchwork patterns of Marrakech. 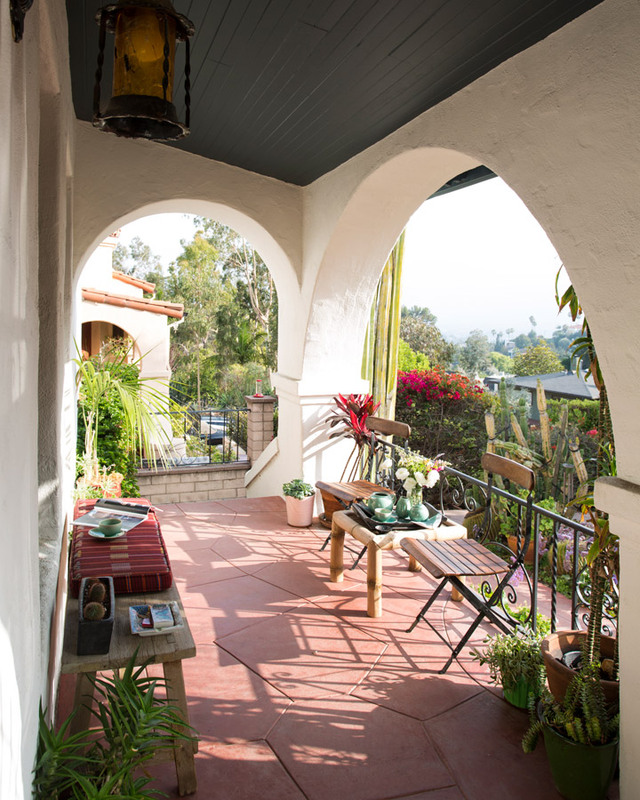 Interior designer Mariah O’Brien, for example, let her travels to Morocco be the guiding inspiration for the design of her Los Angeles area home. Embrace this trend in your outdoor space this summer, create an exotic oasis sure to chase the wanderlust away. Want to take advantage of the Millennial pink design trend in an outdoor space? 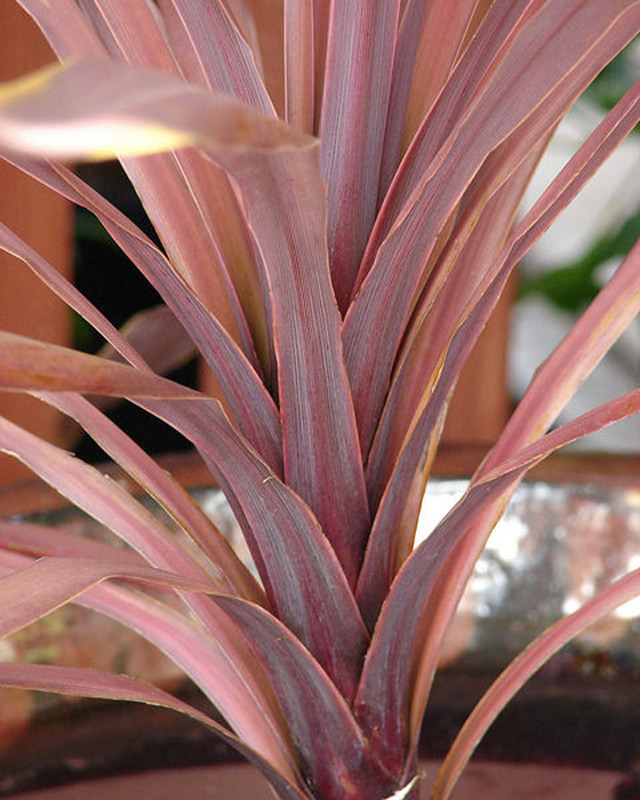 Landscape Architect Gabor recommends Cordyline australis, aka “Electric Pink,” vibrant tones. 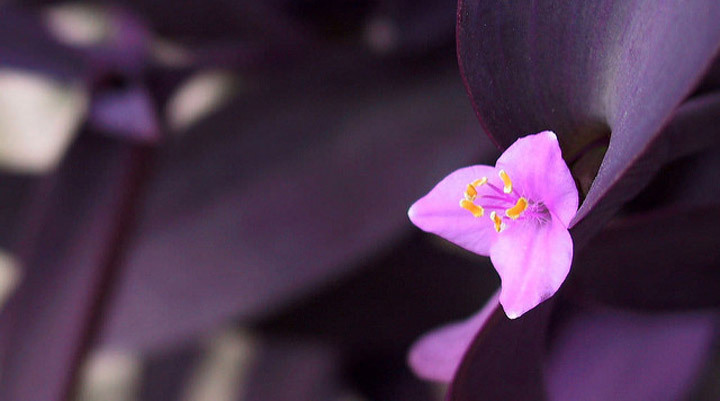 Bring life and color to your backyard with other unique tones to complement your exterior color palette with plants like Tradescantia pallida or the purple heart plant.